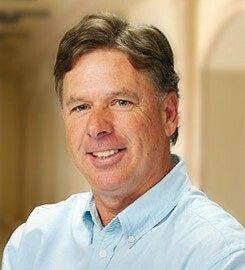 Mitch Malachowski, PhD, has been on the faculty at USD since 1984. He believes strongly in finding ways to enhance student learning and student outcomes and makes this a priority in his teaching, research and service. He teaches courses in various aspects of organic chemistry and organic chemistry laboratories. His research interests range from the synthesis of novel organic molecules to the history and philosophy of science to the proper role of research at undergraduate institutions. He has served as the president of the Council on Undergraduate Research and takes on many roles in that organization. Malachowski has received three University Professorships from USD and the Charles B. Willard award for distinguished career achievement from Rhode Island College. He was the recipient of the 2014 CUR Fellows Award and was named the 2014 CASE/Carnegie Foundation California Professor of the year. Malachowski’s research is in three distinct areas. First, he loves to synthesize new organic molecules and then bind them to metal ions. These metal complexes have been used to either model biological systems or as Metal Organic Frameworks. In this work, he involves large numbers of undergraduates who experience the thrills of successful reactions and the agonies of defeats. His second area of interest is in the history and philosophy of science that includes work on the use of models in science and the writings of Sir Isaac Newton. His third area of research is in probing the relationship between teaching and research at predominantly undergraduate institutions and the importance of involving students in faculty research. As part of this work, he has made a call for a Research-Across-the-Curriculum movement and believes that faculty should include a positive impact on student learning as one of the goals of faculty research. Malachowski has taught courses for chemistry majors such as organic chemistry, medicinal chemistry, organic synthesis and integrated organic/physical laboratory; Chemistry and society for non-majors; and honors courses in the history and philosophy of science. Malachowski is the recipient of the 1999 Davies Award for Teaching Excellence. Submit changes to Mitchell Malachowski's profile.